With this great COMBO ticket, you can enjoy TWO half day attractions at one great price…saving up to 40% on the gate price! What better way to enjoy two attractions that showcase what makes Florida so unique. 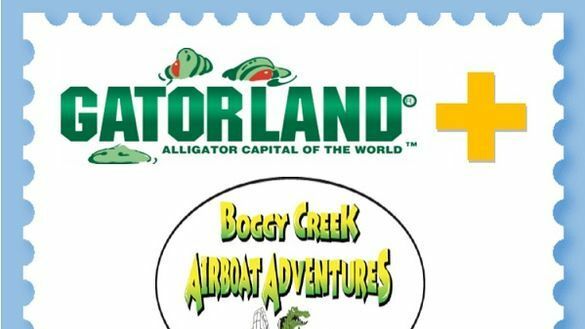 Get up close and personal with the famous gators at Gatorland and then enjoy a blast across the Everglades to see Florida’s natural beauty with Boggy Creek Airboat Adventures. This great deal is valid for use in 2019 only.